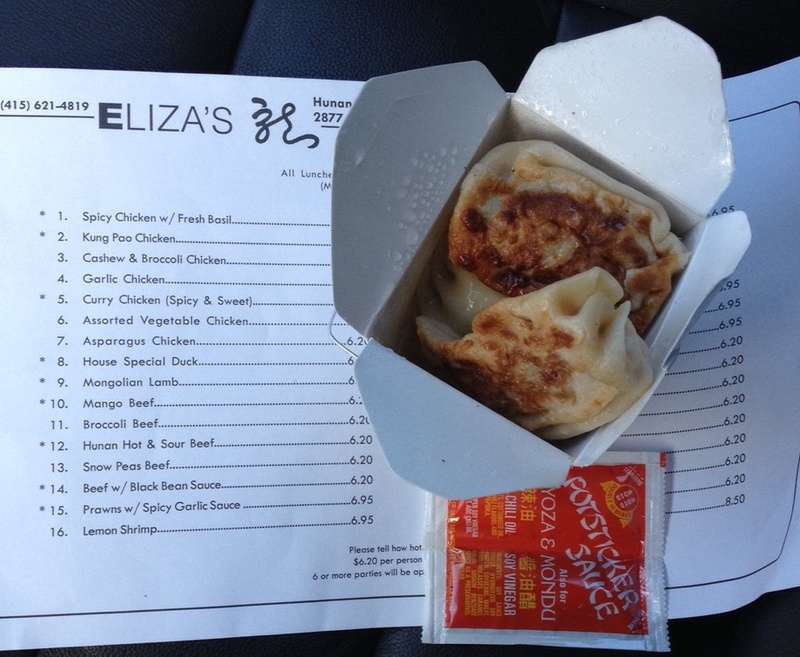 If you’ve never had pot stickers from Eliza’s, I’m feeling very sorry for you right now. I grabbed some of these in the middle of a frantic errand-running morning and devoured them in the car. And maybe I brought a container of rice vinegar from home so I could add the sauce packets to it because I am that obsessed about how a dipping sauce should taste like. They are perfectly flavored with ginger, pork, scallions, garlic (could it be that simple or are there secret ingredients?) and are juicy on the inside without being soggy on the outside. My love of pot stickers started when I was a kid. Growing up in Hawaii, I had access to a variety of dumplings: Korean mondu, Japanese gyoza, Chinese won ton, pot stickers. I loved them all. I’m one of those people who gets food cravings, and pot stickers is at the top of the list (along with steak, which is totally random). When I was pregnant with Lucy, all I wanted were pot stickers and hot and sour soup from Eliza’s. If dumplings are on the menu, they will be in my belly. I’ve been going to Eliza’s since the late 90s, back in my SF Weekly days, as I now call them (as many of us do). 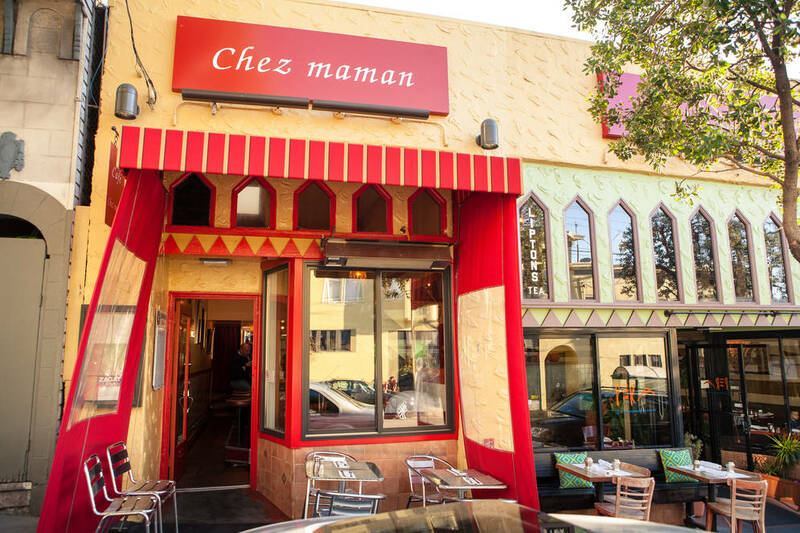 They used to have a location on 18th Street on Potrero Hill, sharing a wall with Chez Maman. Whether there were just two or a whole crew, we always ordered the pot stickers, aka “pillows of love.” While we were waiting for our orders, we would all mix our own dipping sauces using our preferred combination of the three condiments on the table (soy sauce, vinegar, chili paste). They didn’t give you little bowls for the dipping sauce, so the only thing we had for our sauces were flat appetizer plates. What this meant was that every time someone lost part of their pot sticker (which happened often, especially given the slippery plastic chopsticks), it would splash onto their plate, splattering the culprit and sometimes the whole table. My love for these dumplings run deep. How am I going to satisfy my pot sticker, my Eliza’s pot sticker craving in the middle of the Midwest?! Does Detroit even have a Chinatown? Yup. Here it is. 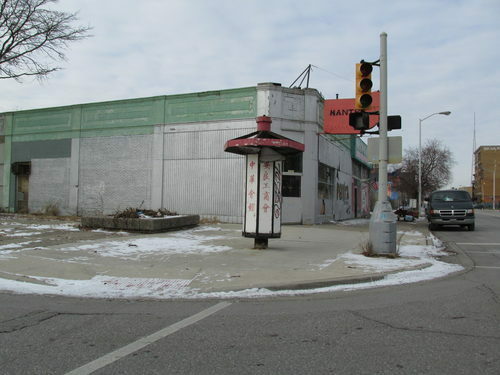 According to Curbed Detroit, vacant for 14 years, Chinatown can be yours for just $500k. Although someone wrote in the comments section, “I didn’t know Detroit had a [Chinatown]. Where did all the Chinese people go?!? Troy?! ?” Great. I’m not sure Operation: Find the Best Pot Sticker in Detroit is even going to get off the ground. I could try to make my own version, sure, but it won’t be the same. *Sigh* Eliza’s, you will be missed. This entry was posted in Food, Places, Restaurants, San Francisco and tagged Chinatown, Chinese Food, Cravings, Detroit, Dumplings, Eliza's, Food, Hawaii, Moving, Pot Stickers, Potrero Hill, Restaurants, San Francisco, Takeout. Bookmark the permalink. May be blasphemous but not a fan. Work blocks from there and have maybe been there 4 times in 11 years. Once with you, Lani. I have a great potsticker recipe. Maybe I’ll make it for you before you go and if you like it will pass it on. Won’t be the same as Eliza’s, but people love them. Hi “Party” (typo or stealth name?) You have a great potsticker recipe!? Maybe we can make it together so I can get a tutorial! Love, Love, Love Eliza’s and have taken it many a’ times to my sister’s over the bridge.